In April 2008, Lenore Skenazy wrote an article for The New York Sun entitled Why I Let My 9-Year Old Ride the Subway Alone. There was a lot of feedback from this article. Parents were outraged that she allowed her child alone on a subway. Parents were thrilled to see another parent allowing her child freedom. She was immediately called by television studios for interviews. Later she began her blog Free Range Kids and wrote a book entitled the same, Free-Range Kids: Giving Our Children the Freedom We Had Without Going Nuts with Worry. 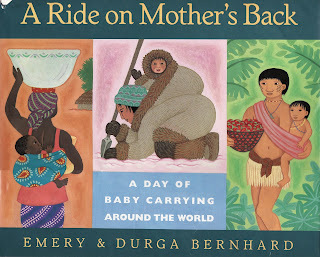 There was a lot of publicity in the radical unschooling world prior to the book’s release. I have to admit I felt some excitement about it and considered pre-ordering it. The price at the time held me back. My ideals of simplicity gave me enough common sense to know that I should probably check the book out and read it before spending hard-earned cash for my personal library. It took our public library a while to get the book in. In fact, I just recently was able to request it and read it. I sat down to read the book and was immediately drawn by the fact that it started out very conversationally – promising to be a quick read, something every time pressed parent of many young children appreciates. I found myself thinking that many parents would enjoy that aspect, however, I found that I did not. I would have enjoyed a book which read like a novel, with great insight and some research. Instead, the book is written in the manner that (admittedly, I presume here) Skenazy speaks. I have to say that it really grated on me and I contemplated not finishing the book many times. I have an affinity for complete sentences. During the 200+ pages of the book, the author attempts to make her point against helicopter parenting by giving example after example of over the top control. One can only read so much of this before thinking that enough is enough. She states several times that parents also need to lighten up on each other and not judge, but she doesn’t give other parents that same respect she asks for, continually joking about other parents and being quite harsh at times. While some may find her style humorous, I don’t enjoy spending my time reading about one parent degrading others, whichever side I happen to agree with. It grows old quickly, and I found myself freqeuntly checking to see how much I had left to read. She stated that we shouldn’t pay attention to so called parenting experts, and then would repeat other parenting experts to support her side. The crux of the matter is that in order to allow our children more freedom, we need to know our kids and trust them. A healthy dose of common sense goes a long way and will help your entire family to enjoy life more. With those two sentences, I’ve just saved you some valuable time reading the book and preserving your sanity while preventing eye strain from rolling your eyes and dental bills from grinding your teeth. If you are really interested in what true dangers are out there and how to put your mind at ease, instead I recommend picking up a copy of Gavin de Becker’s Protecting the Gift: Keeping Children and Teenagers Safe. It’s definitely worth the time to read and occasionally review. Parenting from the Inside Out by Daniel Siegel and Mary Hartzell is an informative and insightful book. Our previous experiences have lasting effects on future experiences. If we don’t take the time to process our own pasts – good and bad, we are destined to repeat history. While I didn’t find any of the information to be new, the biological and psychological processes were very interesting. That being said, I wouldn’t recommend the book for many individuals due to the technical nature of much of the book. If you are looking for a good parenting book addressing healing yourself from your childhood and separating yourself in order to be fully present with your children, I would steer you instead to Naomi Aldort’s Raising Our Children, Raising Ourselves.